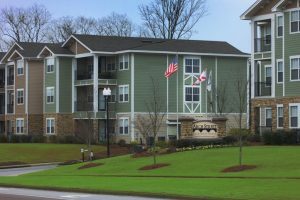 J&A performed land surveying and civil engineering design services for this 15 acre multi-family apartment site development for the purpose of student housing located on the campus of Alabama A&M University. The complex consisted of 9 buildings with 240 units, club house, pool and open areas. Project elements included: boundary and topographic survey, subdivision platting, site analysis/preliminary design, 4-lane divided entrance road design, construction civil site plans and specifications, approval process, and assist with bidding and periodic construction observations. 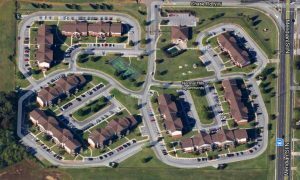 J&A provided complete land surveying and civil engineering design services for a 17 acre multi-family apartment site development consisting of 11 buildings with 267 units, club house, pool and open areas. Project elements included: boundary and topographic survey, subdivision platting, site analysis/preliminary design, construction plans and specifications, approval assistance, and assistance with bidding.